You may be wondering, why bring your tablet into the kitchen? Well, I recently discovered an awesome app called Chef Tap and have since used it to organize my favorite recipes. My tablet + awesome recipe app = modern day recipe box. The app allows you to sync your favorite recipes with sites such as Allrecipes.com, Epicurious and Pinterest as well as import recipes from any url. I've tried importing recipes from our own site and lo and behold, it worked like a charm. 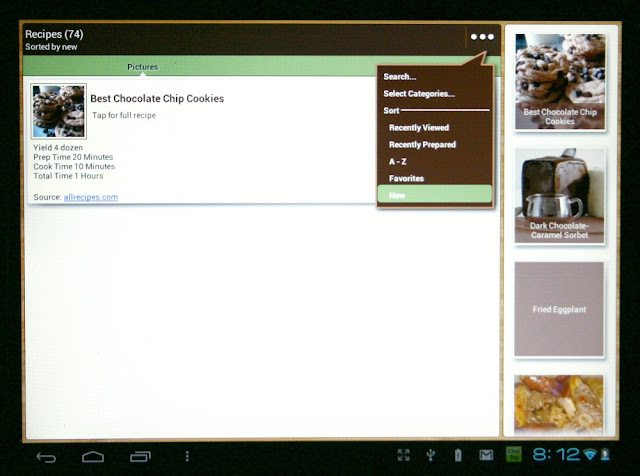 It also allows you to categorize the recipes and sort them in a number of ways. If you're looking for an easy-to-use recipe app, give this one a shot. I highly recommend it. I'm not sure if it's available for the iPad/iPhone but it's available on Android, totally free. You can download it here. 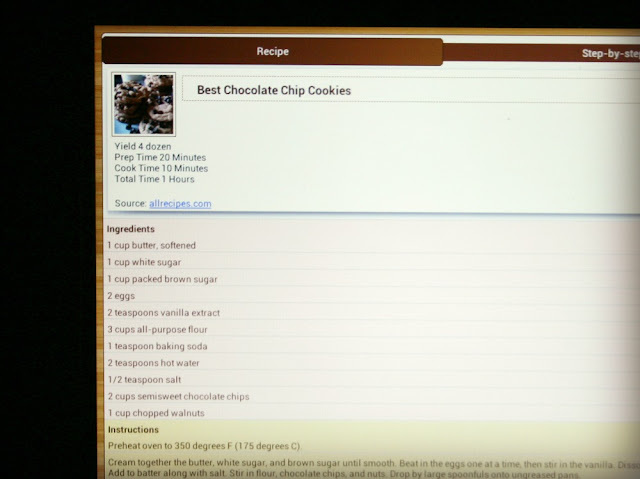 Here's the recipe on my tablet after it had synced with Allrecipes. 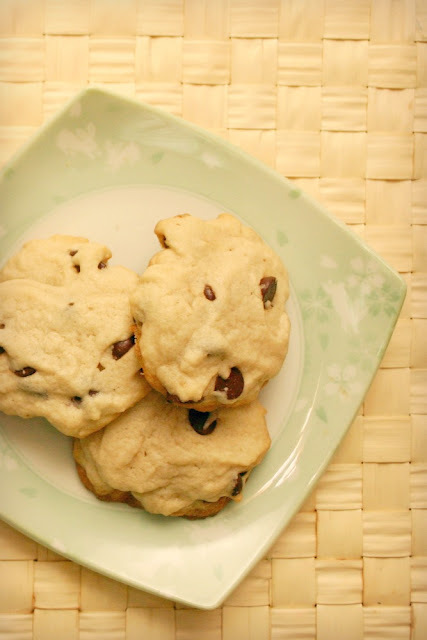 The recipe is clearly displayed and you can choose to view it as a whole recipe on one page or as step-by-step instructions. 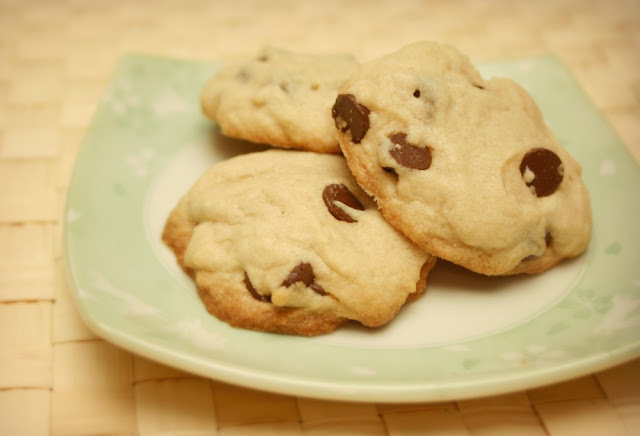 As you can see, the name of these cookies are 'Best Chocolate Chip Cookies.' While they're not the best I've ever had, they come pretty darn close. 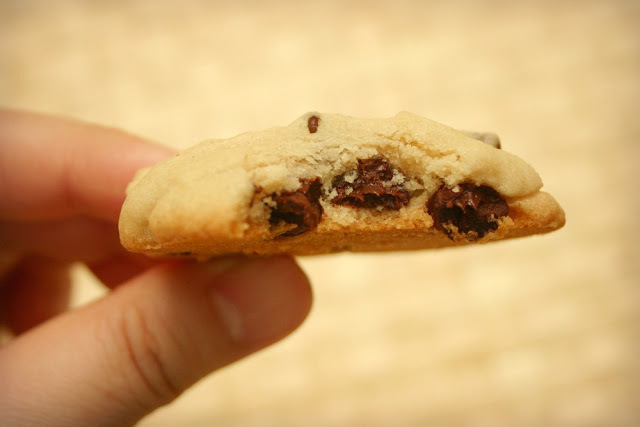 I love that they're chewy on the inside and crispy on the outside. The recipe called for chopped walnuts in addition to the chocolate chips but I omitted them. 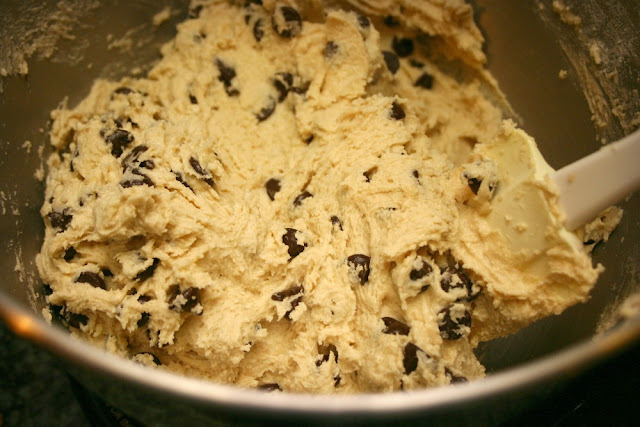 You can also sub or add in other ingredients like mini M&M's, white chocolate or caramel chips. Yields about 2 dozen cookies. Recipe from Allrecipes. 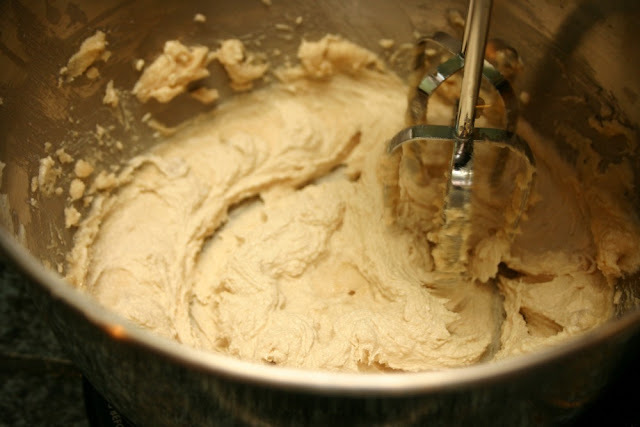 Using a hand or stand mixer, cream the butter, white sugar and brown sugar until fluffy. 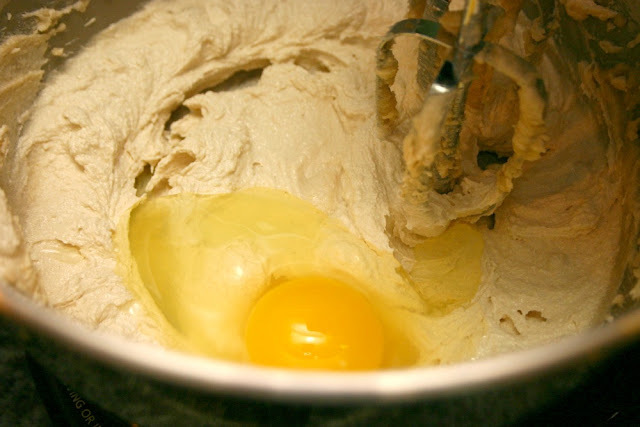 Add the egg and continue to mix until incorporated. 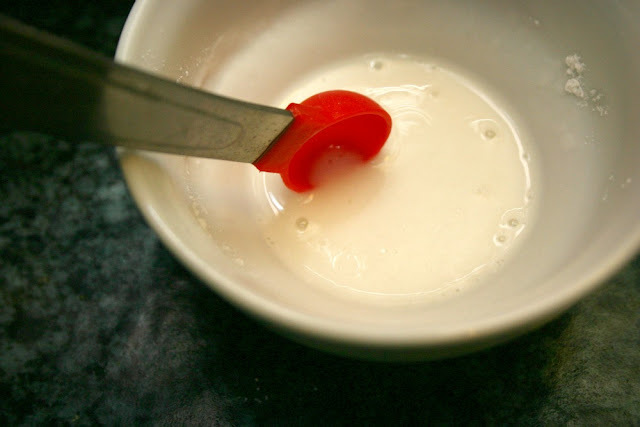 In a small bowl, mix the baking soda with the hot water then add it to the mixing bowl. Add the salt as well and continue to mix until incorporated. 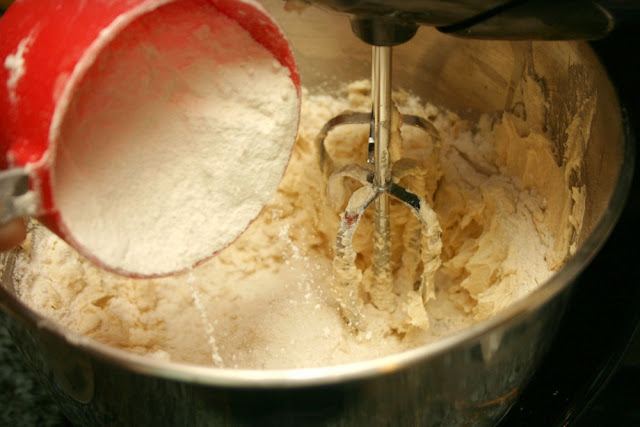 Add the flour slowly and mix until the batter starts to stiffen. Drop by large spoonfuls onto ungreased pans. Make sure you space them out enough so they don't stick together. 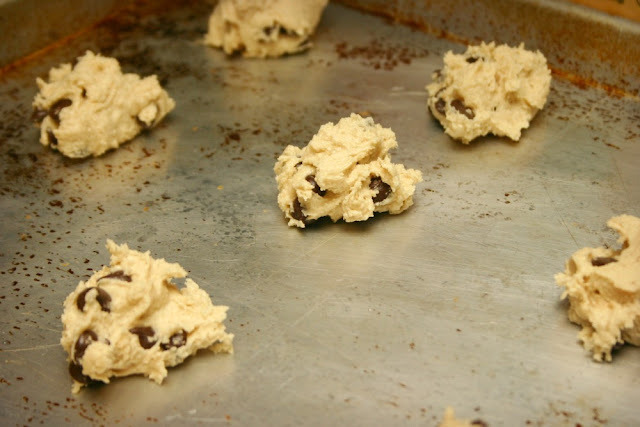 Bake in the oven for 10 to 15 minutes until the edges are browned. Transfer to a wire rack to cool. Serve warm. 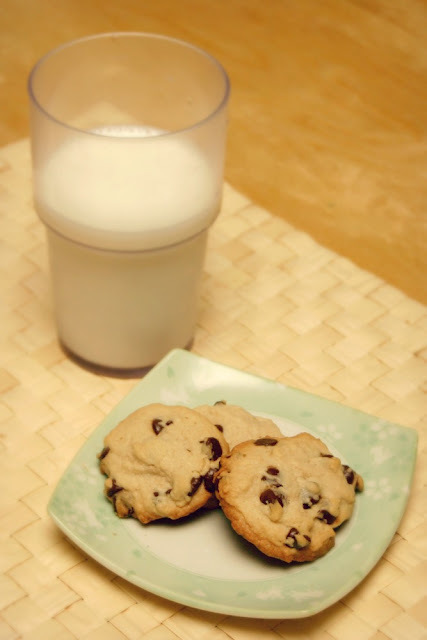 So good with a cold glass of milk! Mmm! Soft and chewy in the middle, just how I like 'em.